One of the information security industry's largest and most respected vendors has been banned from government contracts. The Trump administration removed antivirus vendor Kaspersky Lab from the U.S. General Services Administration (GSA) after weeks of intensifying scrutiny from Congress. As a result, Kaspersky is no longer eligible for GSA Schedule 70 contracts for IT products and services. The move comes amid increasing concerns over Russian hacking in the 2016 presidential election, and it severely restricts Kaspersky government sales, which could have a lasting effect on the vendor's business and reputation. While Moscow-based Kaspersky was removed from the GSA Schedule 70 over suspicions about the company's ties to the Russian government, no evidence of any wrongdoing has been shown to date. Meanwhile, CEO Eugene Kaspersky has defended his company and offered to disclose Kaspersky software source code to the U.S. government to alleviate concerns about backdoors and other potential risks. Are the U.S. government's actions against Kaspersky fair, or have fears of Russian government meddling run amok? How will this affect the company's reputation long term? How will the Kremlin respond to the Kaspersky government ban? 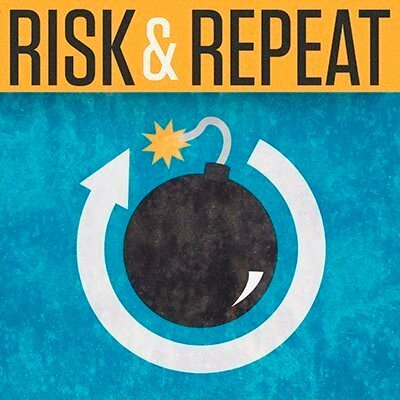 In this episode of the Risk & Repeat podcast, editors Rob Wright and Peter Loshin discuss the removal of Kaspersky from the GSA Schedule 70, whether the move was warranted or not, and what it means for both Kaspersky and the information security industry as a whole. Is the Trump administration's ban of Kaspersky government contracts fair? Why or why not? The aspect most disturbing to me is how Kaspersky has been caught up in what I see as mass hysteria fueled by America's fake news media (FNM) directed at Russia. There remains after over a year's investigation that Hillary did not lose due to Russian interference, which is the hysterical template FNM continues to perpetuate as Goebbels did for Hitler in which he repeated lies about Jews over time that got them exterminated. The only pertinent Russian connection to Hillary is her State Department deal in selling 20% of our uranium reserves to Putin, which suddenly enriched her ("pay for play")! Give the "fake news" wailing a rest, please. And while you're at it, stop spamming every Russia-related story with your nonsense. Always entertaining to see facts discounted as spam! Your paradigm response reveals a level of selective attention to detail, like selective hearing, will hear only your political persuasion as facts of the matter be damned. Sir, if you want to discuss Kaspersky, have at it. If you want to fling nonsense from InfoWars and the like, I suggest you do it somewhere else. Thanks!